The Chinese Moon Festival is one of the four most important Chinese festivals in Thailand, this year it takes place today on Wednesday, 22 September. 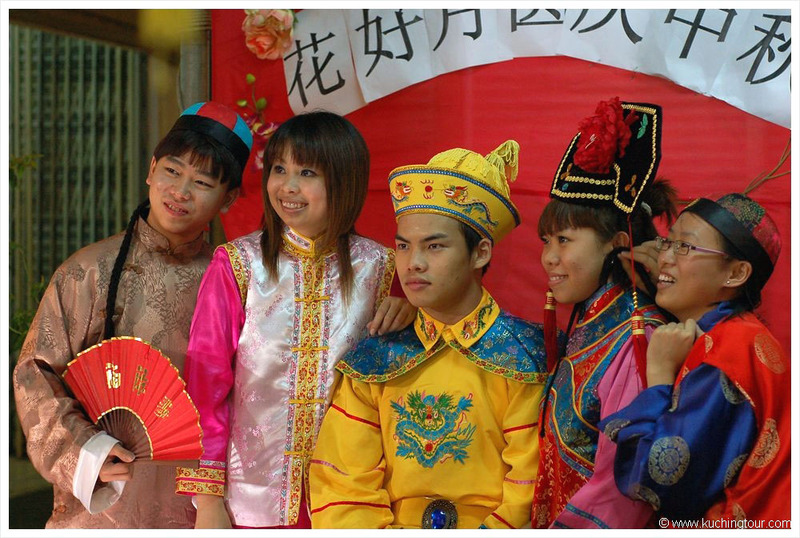 Thailand’s Chinese-descendant community annually celebrates one of the oldest of Chinese festivals on the 15Th day of the 8Th Chinese lunar month. The Mid-Autumn Festival, usually referred to as the Moon Festival, or Zhongqiu Festival, is also known in Chinese as Zhongqiujie, or in Vietnamese as “Tet Trung Thu”. 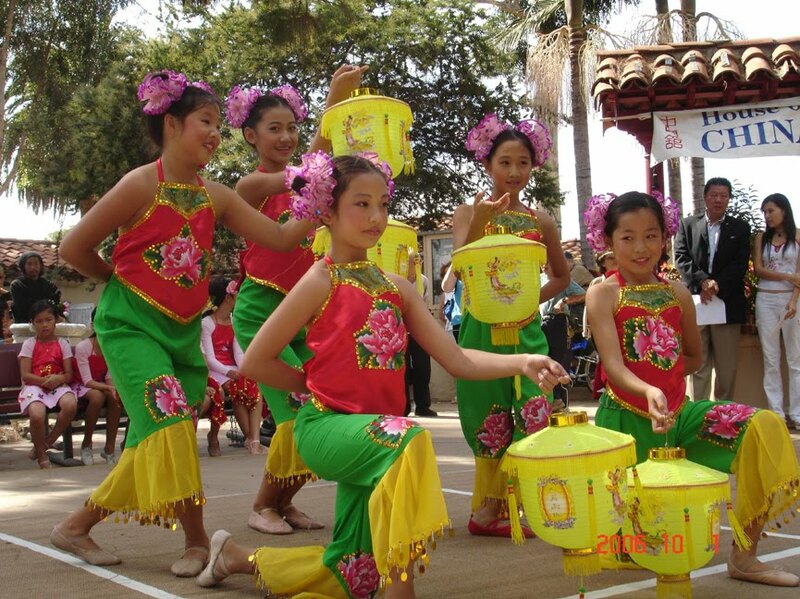 It is a popular harvest festival long-celebrated by Chinese and Vietnamese communities dating back over 3,000 years to the practice of moon worship, in China’s Shang Dynasty. 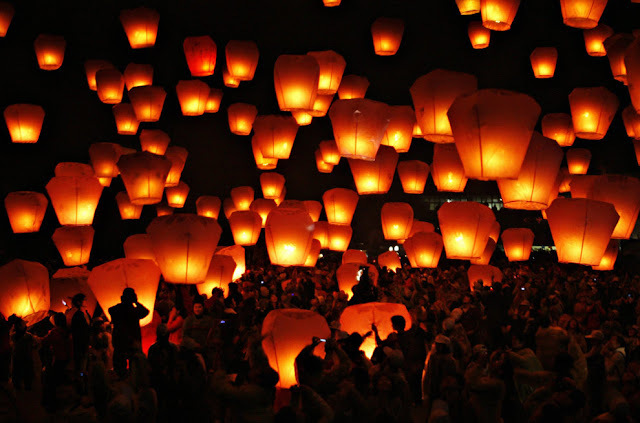 It was first called Zhongqiu Jie (literally “Mid-Autumn Festival”) in the Zhou Dynasty. 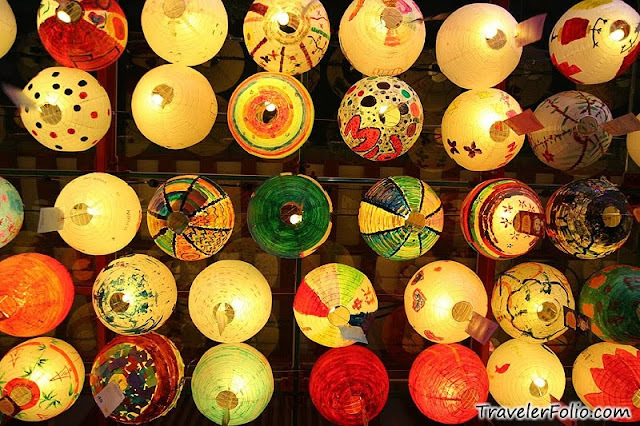 In Malaysia, Singapore, and the Philippines, it is also sometimes referred to as the Lantern Festival or Mooncake Festival. In Thailand, the Moon Festival is called “Wan Wai Phra Chan” and is considered a Chinese festival. 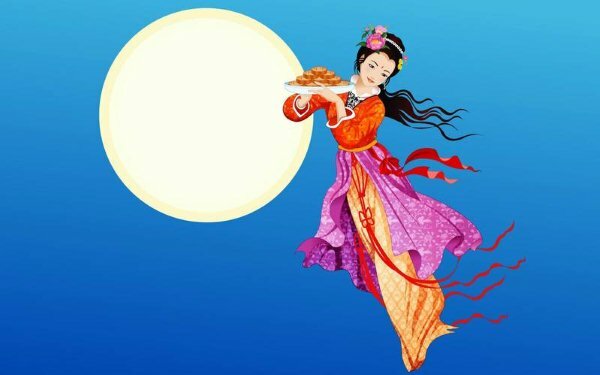 The Mid-Autumn Festival is a lunar calendar event (which means the Western calendar dates change annually) that is held on the 15Th day of the eighth month in the Chinese calendar. This is usually around late September, or early October, in the Gregorian calendar. It is a date that parallels the autumnal equinox of the solar calendar, when the moon is supposedly at its fullest and roundest. The festival is one of the most important holidays in the Chinese calendar, the others being Chinese New Year and Winter Solstice. It is observed as an official holiday in several countries. Farmers celebrate the end of the summer harvesting season on this date. 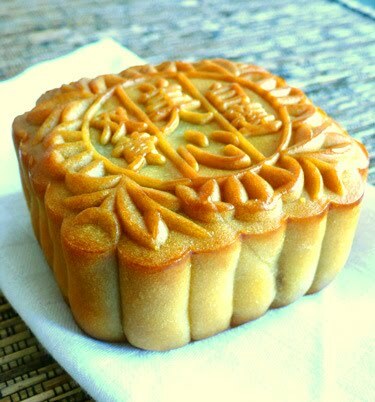 The traditional food of this festival is the moon-cake, of which there are many different varieties. 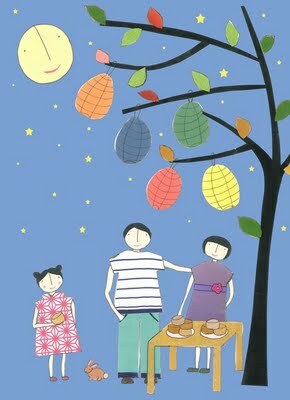 Traditionally on this day, Chinese family members and friends will gather to admire the bright mid-autumn harvest moon, and eat moon cakes and pomelos in the moonlight together. Shops selling mooncakes before the festival often display pictures of Chinese goddess Chang’e floating to the moon. 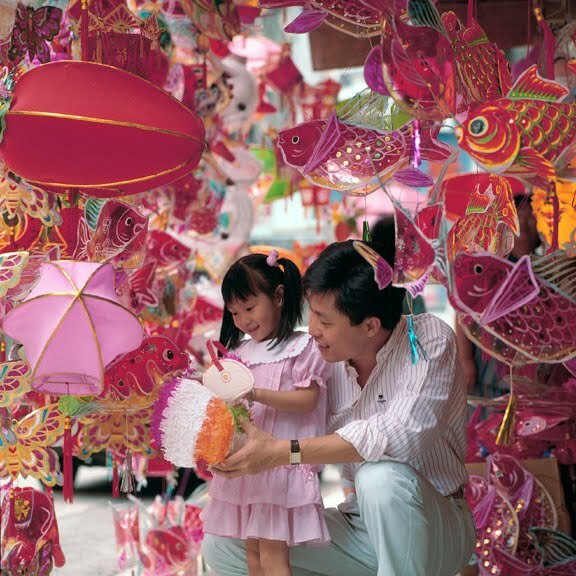 In addition to the tradition of the delicious mooncakes, there is normally an altar decoration competition, a Miss Moon Beauty Contest, and parades and processions. A lovely holiday, although we don't really celebrate it. The girls are Thai-Birmese and not from Chinese decent, but in 2 days we will celebrate heritage day here in South Africa. More about that later. 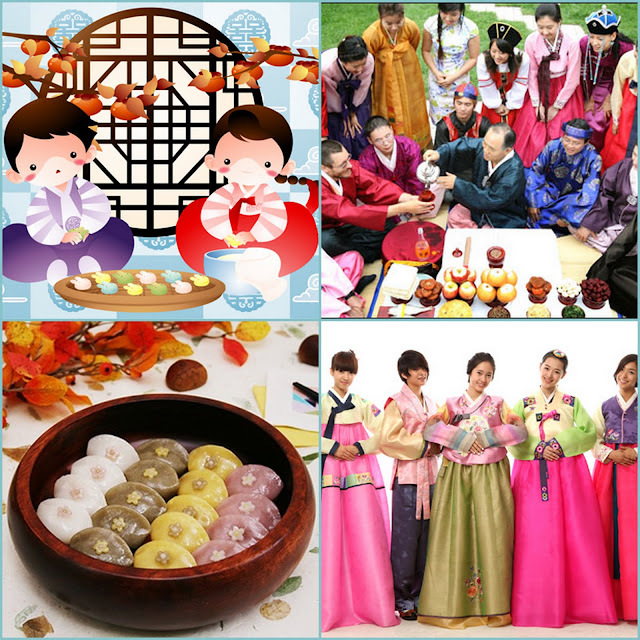 And since I have some very dear friends Hyun-Kyung & Stella from Korea here in SA, I learned that they too celebrate Korean Thanksgiving, which is called Chuseok 추석 originally knows as Hangawi (한가위). So I wanted to show some pictures of this celebration as well, see below. In modern South Korea, on Chuseok there is a mass exodus of Koreans as they return to their hometowns to pay respects to the spirits of their ancestors. People perform ancestral worship rituals early in the morning. 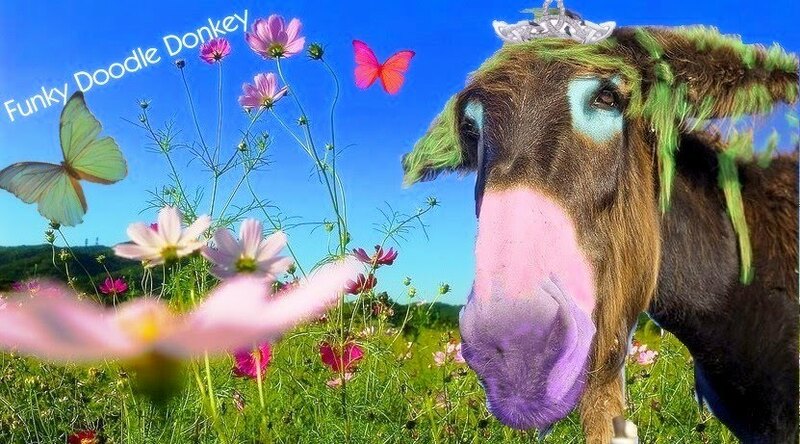 They often visit the tombs of their immediate ancestors to trim plants and clean the area around the tomb, and offer food, drink, and crops to their ancestors. Harvest crops are attributed to the blessing of ancestors. One of the major foods prepared and eaten during the Chuseok holiday is songpyeon (송편), a crescent-shaped rice cake which is steamed upon pine needles. I had these yesterday, and they are very special!! Other foods commonly prepared are japchae, bulgogi and fruits. And ALL of these Korean specialties I have eaten or better even; know how to make it, it is so yummy and so much fun to have some Korean friends!! Have a festive holiday for you who DO celebrate today!! And wherever you are in the world, LOOK UP at the MOON today and be THANKFUL of your friends, family and prosperity! It should be full and round! Let me know how and if you celebrate! What a fabulous and colourful post!! I do beleive it must be officially Autumn now then. Drat. This is a real nice post. I love to learn about other cultures and their celebrations! This weekend is another Thai Holiday - Sart Thai. It is to honor ancestors.